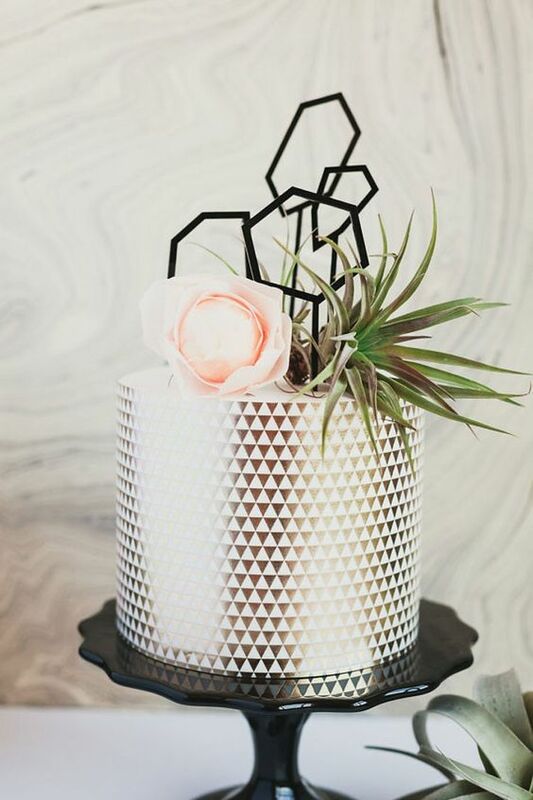 Geometry is extremely popular for decor right now, and I’d say it’s practically timeless, such details never go out of style. 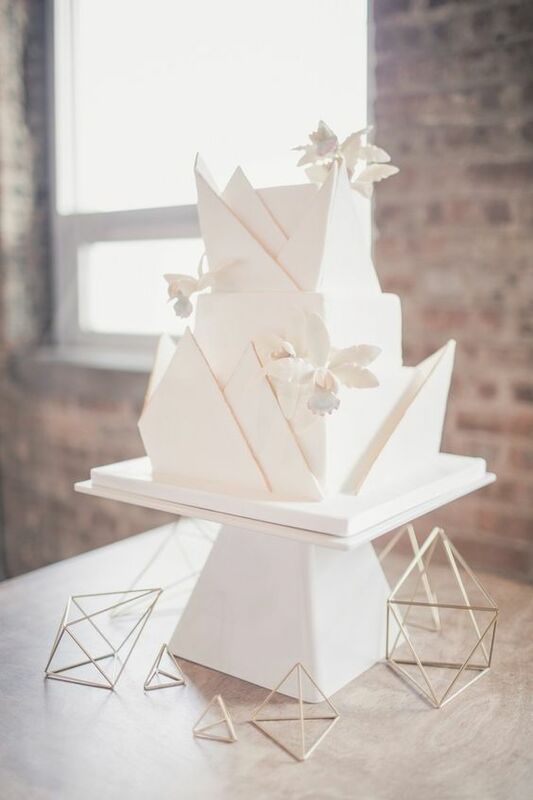 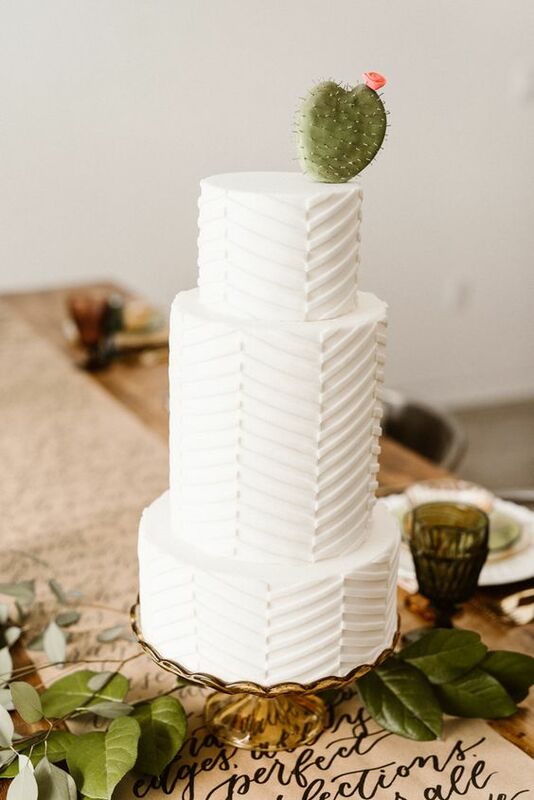 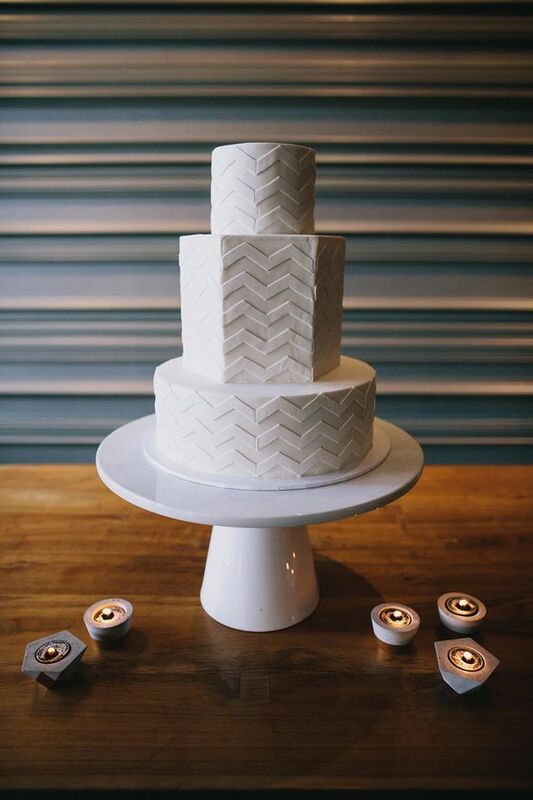 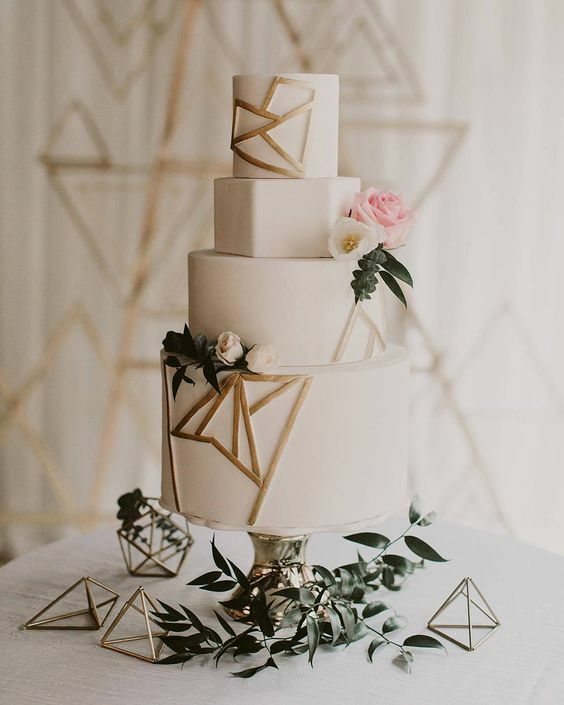 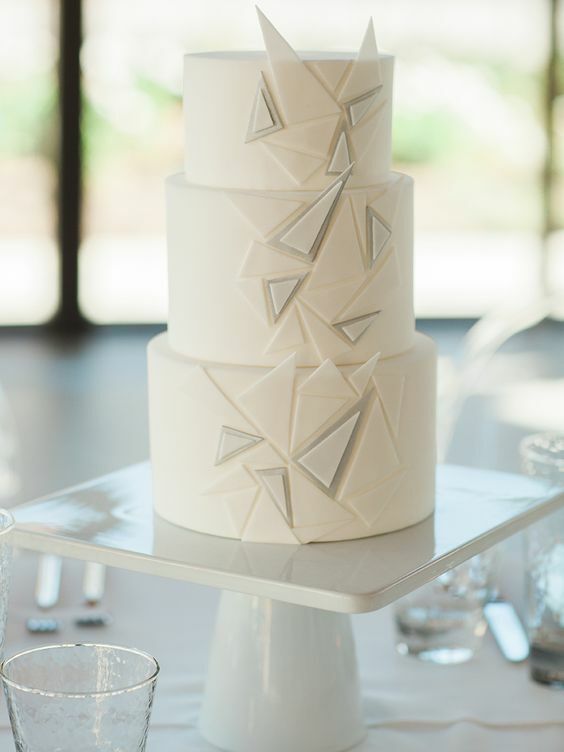 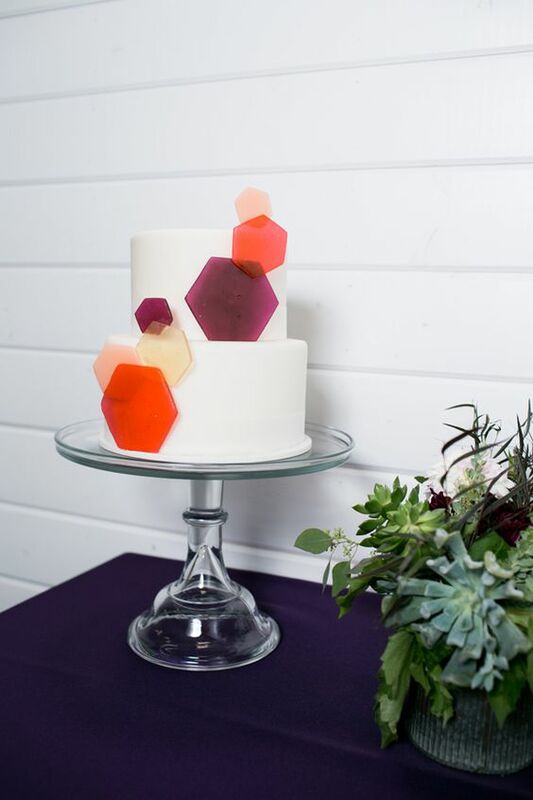 Incorporating geometry into wedding decor is a great idea, and you may do that not only with centerpieces, table runners or napkins but also with geometric wedding cakes. 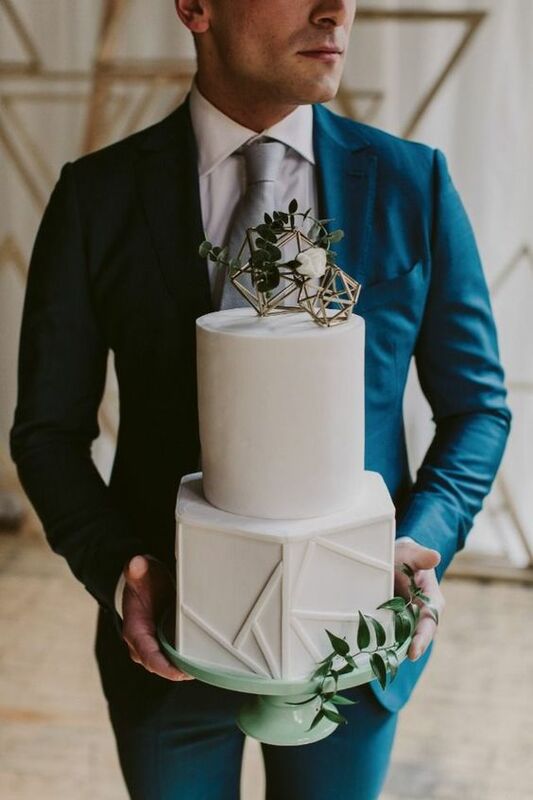 I’ve prepared a whole bunch of these trendy pieces to look at, let’s do it! 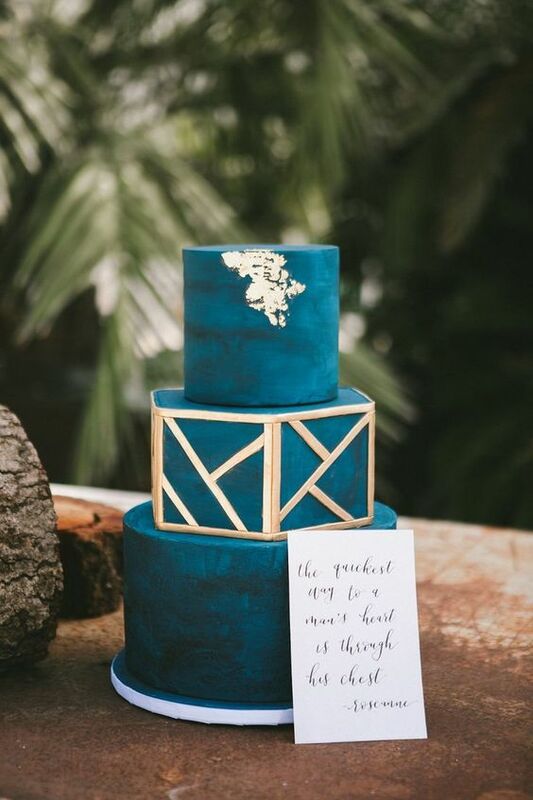 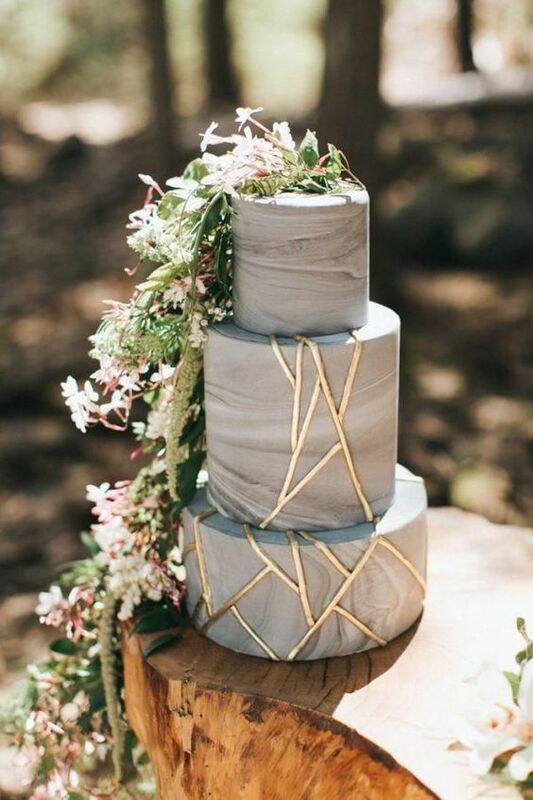 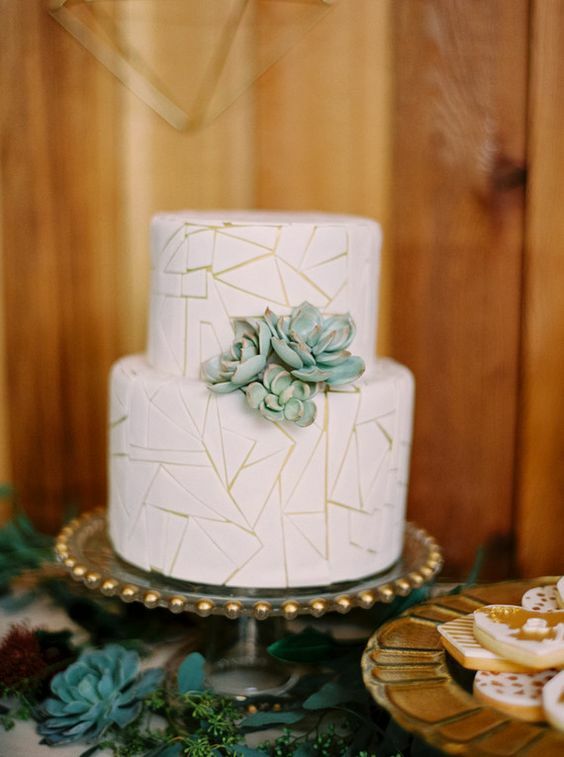 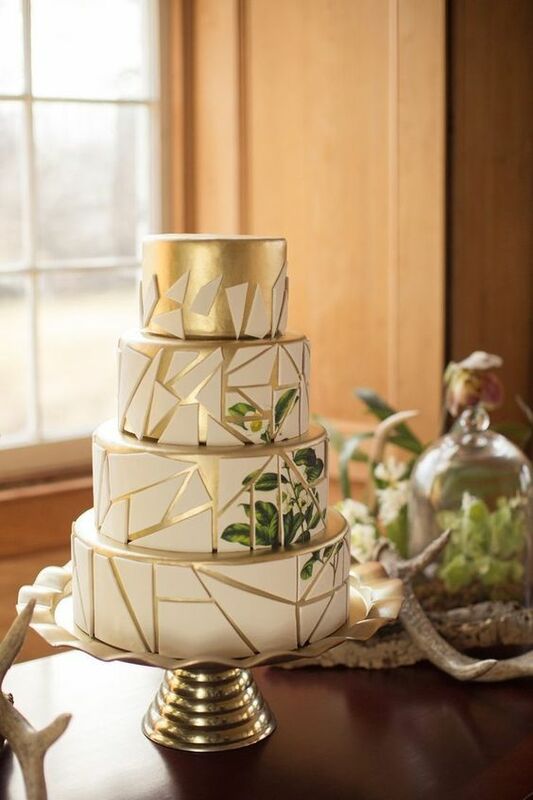 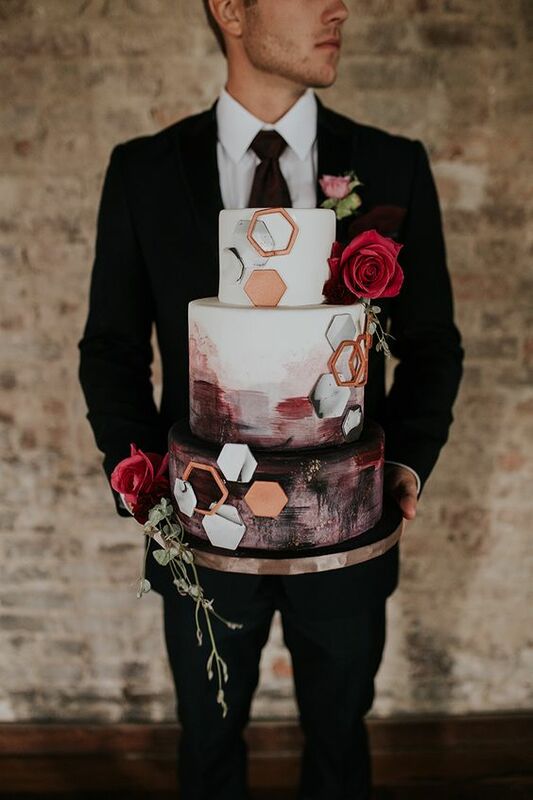 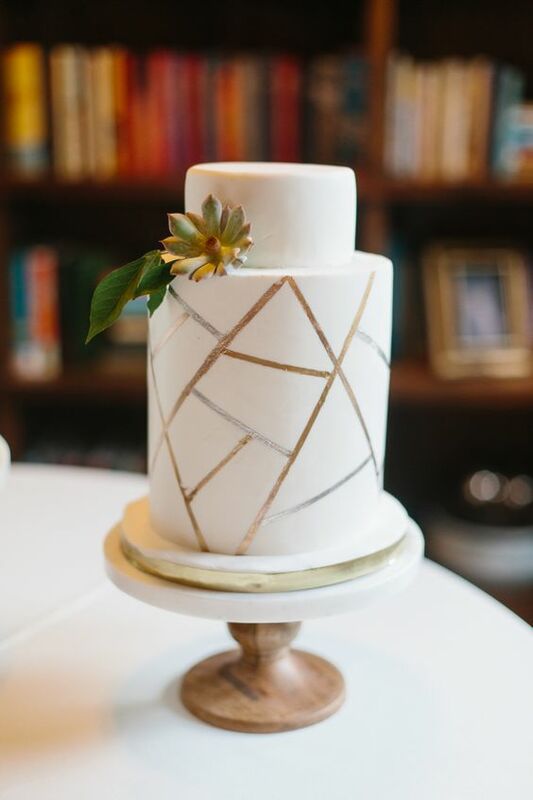 Geometric cakes with a crackle effect are very popular and very cool, they are suitable for many weddings from boho to modern ones. 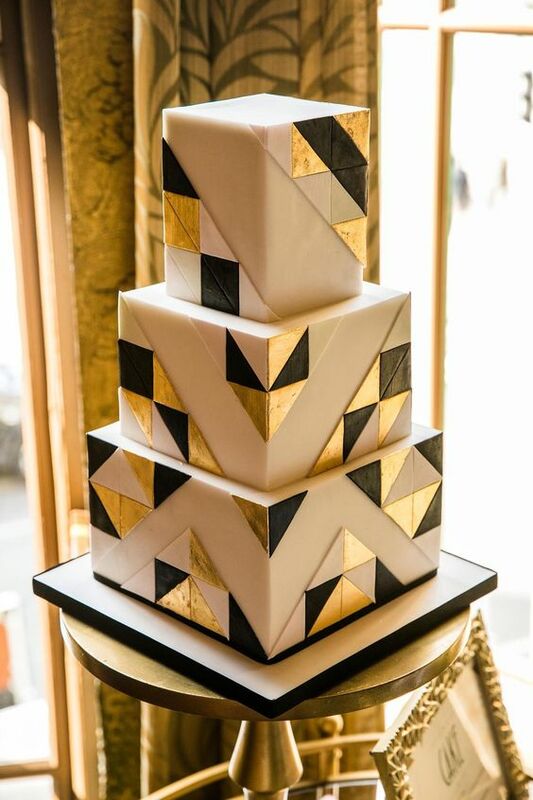 You may go for a contrasting backdrop for your geometric parts, so the cake will look even bolder than usual. 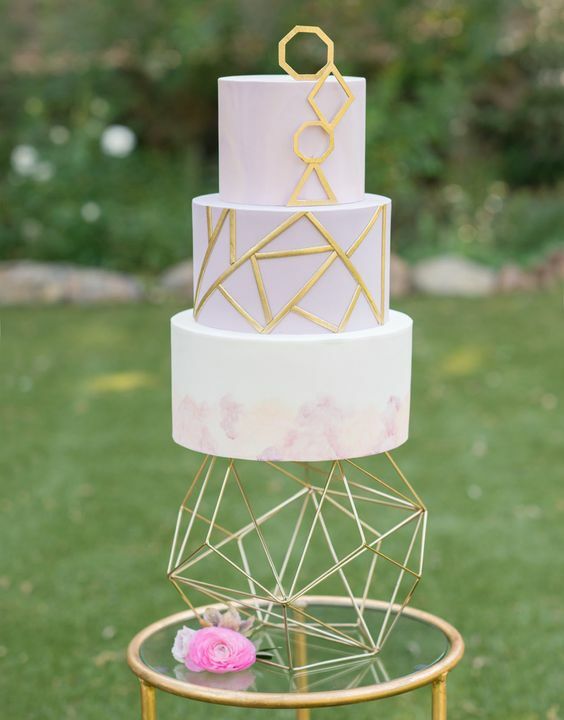 You may decorate it with various toppers, air plants, flowers or gold leaf to make the cake even trendier. 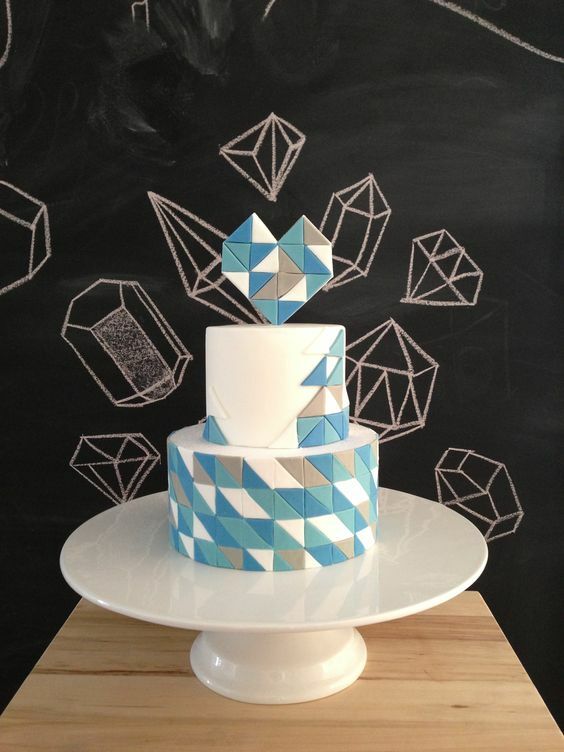 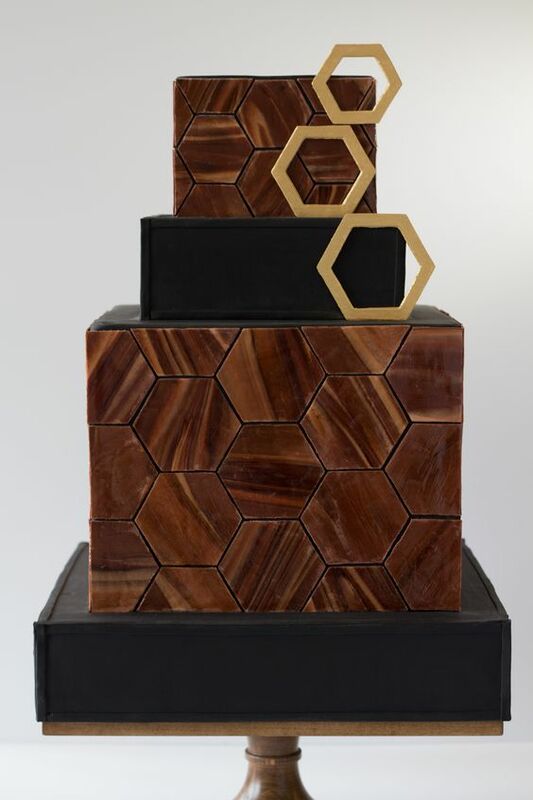 Make your geometric cake more special going for 3D geometric patterns on it. 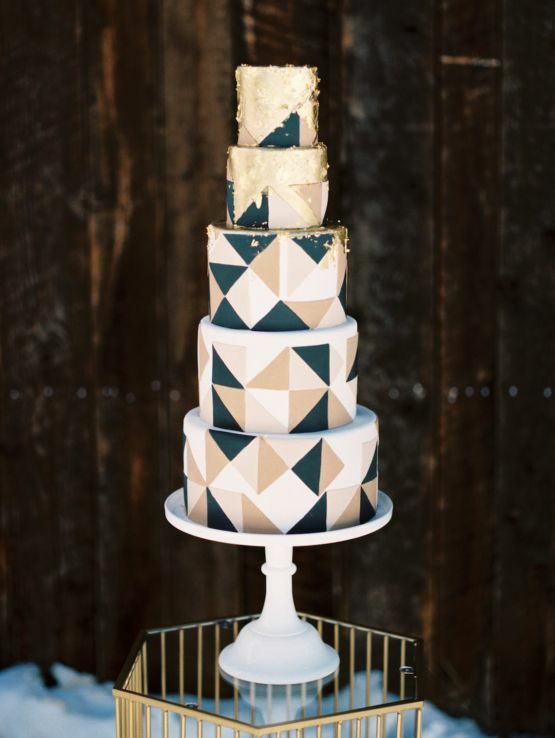 go for the same color of patterns or try a different shade, for example, gold or copper to make it even catchier. 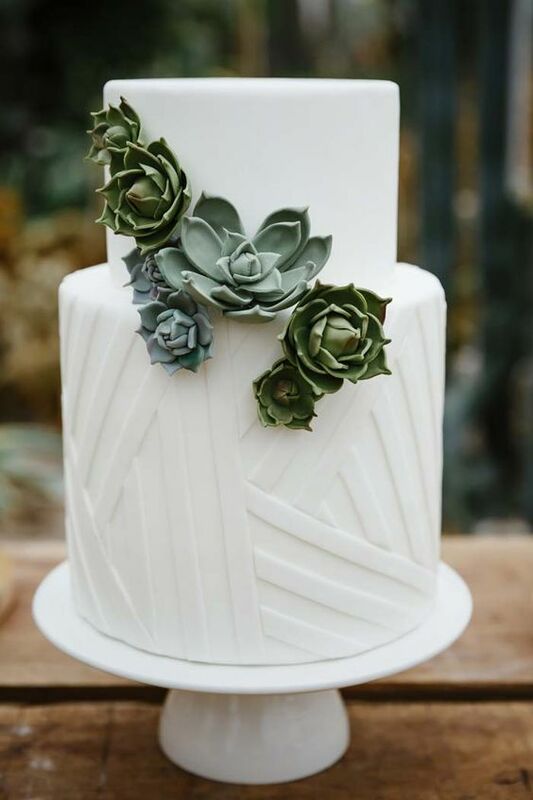 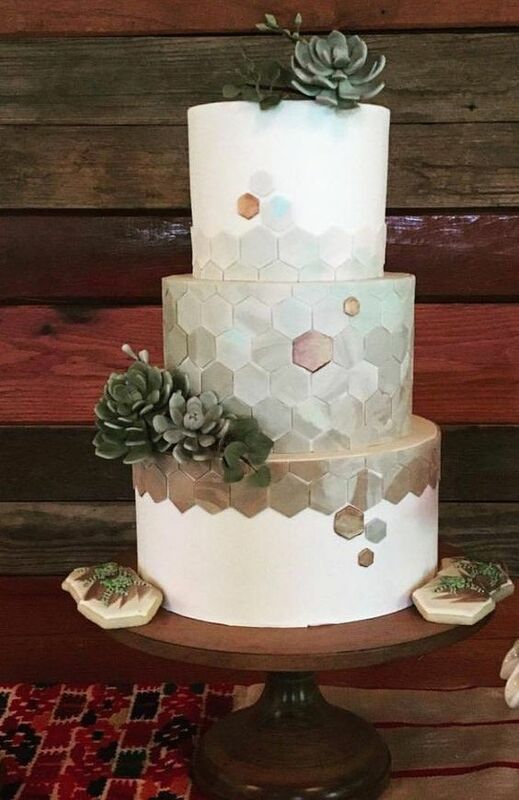 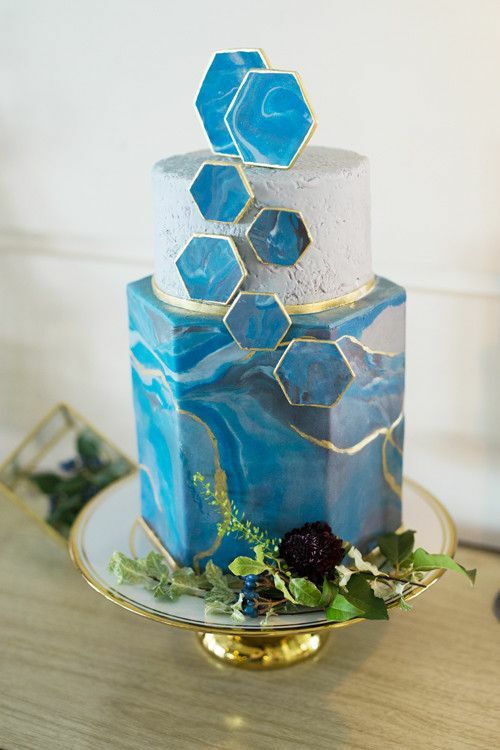 You may also try catchy detailing – colorful hexagons, triangles and other figures attached to a white wedding cake, such an idea has become extremely popular. 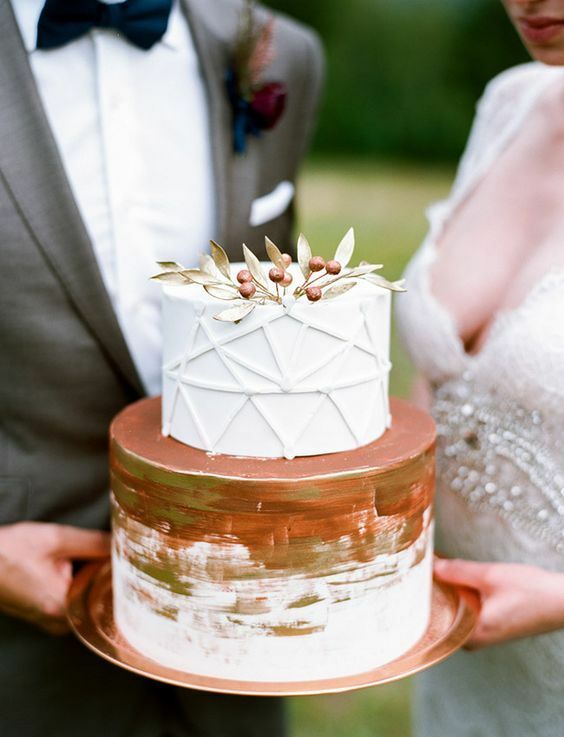 Make your cake bolder with watercolor, gold and copper leaf and other details you consider proper ones. 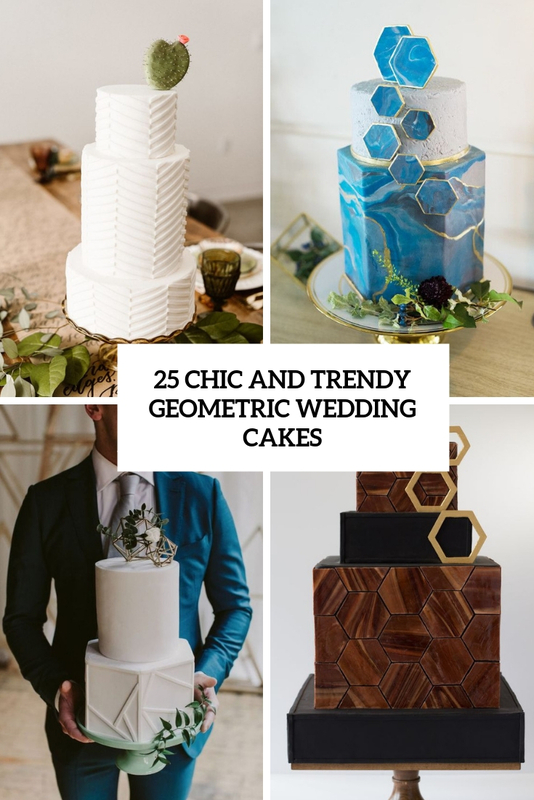 Simply patterned geometric wedding cakes are also very nice, you may go for one or several tiers with geometric patterns of your choice in the colors that you need. 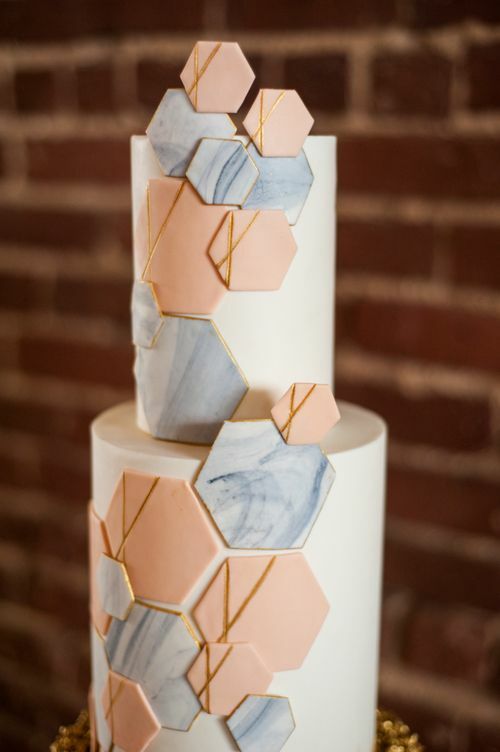 Try not only usual plain colors, add a marble effect or go for wood-inspired frosting on your cake. 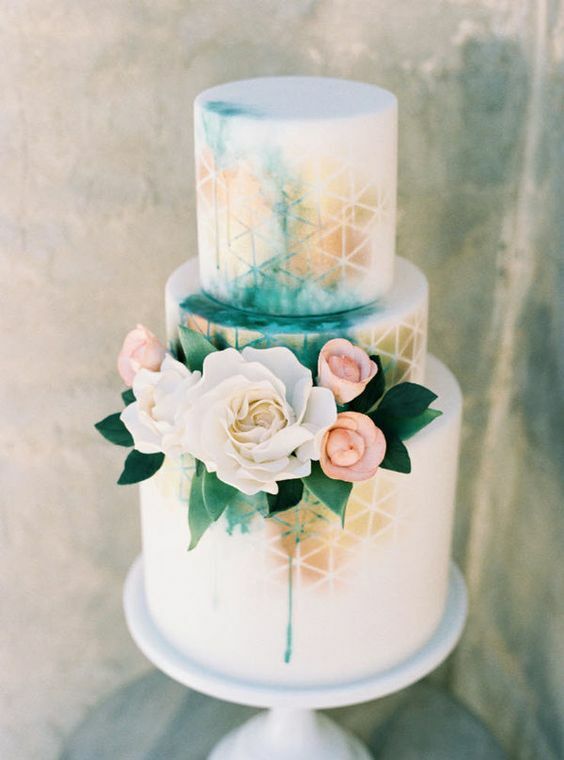 To make it even bolder, add watercolor, blooms, greenery and toppers and make a statement with your wedding cake.